Crowds estimated in the millions demonstrated in cities across Brazil Sunday demanding the ouster of the Workers Party (Partido dos Trabalhadores-PT) government and the country’s President Dilma Rousseff. The largest of the rallies took place in Sao Paulo, Brazil’s financial and industrial capital, where the city’s security office put the number of demonstrators, who filled the entire length of the central Avenida Paulista, at 1.4 million. Instituto DataFolha, a prominent polling institution, put them at 450,000, while organizers claimed an improbable 3 million. Fueling these rallies, which were substantially larger than similar demonstrations held a year ago, was anger over the ever-widening political bribes and kickbacks scandal that has siphoned billions of dollars from the state-run energy conglomerate Petrobras, as well as growing frustration over the precipitous decline of Brazil’s economy into its worst crisis since the Great Depression of the 1930s. They were further driven by the demand of state prosecutors in Sao Paulo to place Luiz Inacio Lula da Silva, the former president and founder of the PT, in “preventive custody” in connection with their charges that he concealed ownership of a seafront apartment built for him by a construction firm that was a major contractor with Petrobras. Demonstrators chanted, “Down with the PT,” “Dilma out” and “Stop the corruption.” A significant minority within the rallies raised banners and signs calling for the Brazilian military to intervene, reprising the right-wing 1964 coup that plunged Latin America’s largest nation into 21 years of brutal military dictatorship. Unlike the rallies held a year ago, Sunday’s demonstrations enjoyed the open support of the right-wing bourgeois parties opposed to Rousseff and the PT, as well as that of the leading employers and business associations such as FIESP (Federation of Industries of the State of Sao Paulo). Free metro transit fares were offered in Sao Paulo to boost participation. Surveys indicated that, while larger than last year, the rallies were once again dominated by sections of the middle class. A survey done by a leading polling company found that 63 percent of the protesters had incomes equal to at least five times Brazil’s minimum wage. While the predominant political orientation of the protests was right-wing, attempts by the PT’s right-wing political opponents to capitalize on them were met with angry hostility toward all politicians and parties. The leadership of the Workers Party called off rallies in support of Lula and Rousseff that had been called for the same day, citing fears of violent confrontation. It is also undoubtedly the case that the those who would come into the street in defense of the PT would be heavily outnumbered by the party’s opponents. This last slogan is meant to cast the PT as being an opponent from the “left” of the very policies that are being pursued by the PT government itself. Rousseff has responded to Brazil’s deepening economic crisis with the attempt to push through a “fiscal adjustment” program aimed at slashing pensions, wages and workers’ benefits, while assuring that fully 20 percent of the federal budget goes to service Brazil’s debt to Wall Street and the international banks. These economic austerity measures serve to exacerbate the crisis of Brazilian workers under conditions in which layoffs have reached 100,000 a month and the inflation rate has topped 10 percent. In a further sign that the economic crisis is only deepening, Brazil’s Central Bank reported Monday that economic activity had fallen by another 0.6 percent in January, confounding economists’ predictions of a very slight increase for the month. 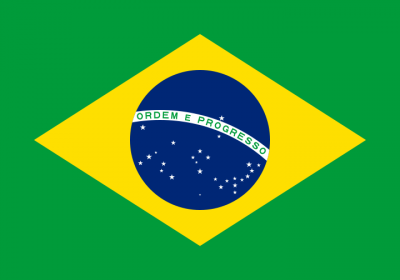 For more than a dozen years, the PT has served as the principal party of the Brazilian bourgeoisie, serving its interests, while promoting limited social welfare programs aimed at dampening the class struggle, even as social polarization between a narrow financial elite and masses of workers and poor continued to deepen. Now, dominant layers within the Brazilian ruling class have decided they need a new kind of government, of an openly right-wing and potentially dictatorial character, to carry out drastic attacks on the living standards of the working class. This is the driving force behind the campaign to impeach Rousseff. The betrayals carried out by the PT, and particularly by an array of pseudo-left groups that promoted it as a substitute for the building of a revolutionary party of the working class, are responsible for the present political situation, which confronts Brazilian workers with grave dangers. The president of the House of Deputies in the Brazilian Congress, Eduardo Cunha, of the PMDB (Brazilian Democratic Movement Party), an erstwhile ally of the Rousseff government, has called for members of the body to remain in Brasilia through Friday in anticipation of the country’s Supreme Federal Tribunal responding to questions on the rules governing impeachment, allowing the process to begin. Cunha, a right-wing Christian fundamentalist, is charged by federal prosecutors with receiving as much as $40 million in Petrobras-linked bribes for himself and his political allies, using an evangelical mega-church to launder the money. He is accused of personally socking away $5 million in bribe money in secret Swiss bank accounts.